The Milwaukee HD28 HX Heavy-Duty SDS Plus Hammer Drill is a 3 mode drill - hammer drilling, rotary drilling and roto-stop for chiselling - for maximum versatility. 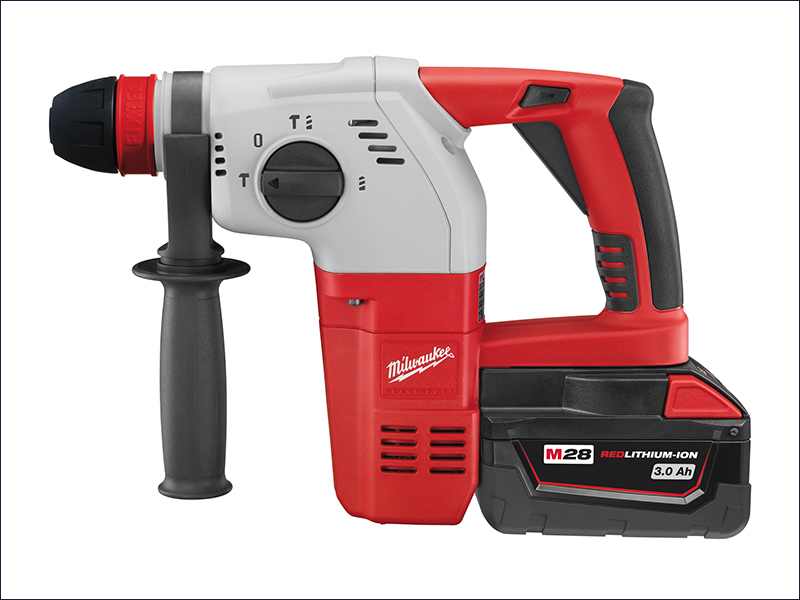 The drill has a 28 volt, high power motor to give corded tool performance in a cordless tool. Its L-shape construction provides perfect balance and control. Variable-speed trigger and reverse: Allow for accurate drill bit starting and easy bit/fastener removal. The HD28 HX has a metal gearbox for exact seating of bearing and gears, and FIXTEC system for keyless chuck changing. Supplied with 2 x 3.0Ah Li-Ion batteries, charger and Dyna Case.